1791 ~ Carl Czerny, Austrian pianist and composer whose vast musical production amounted to over a thousand works. 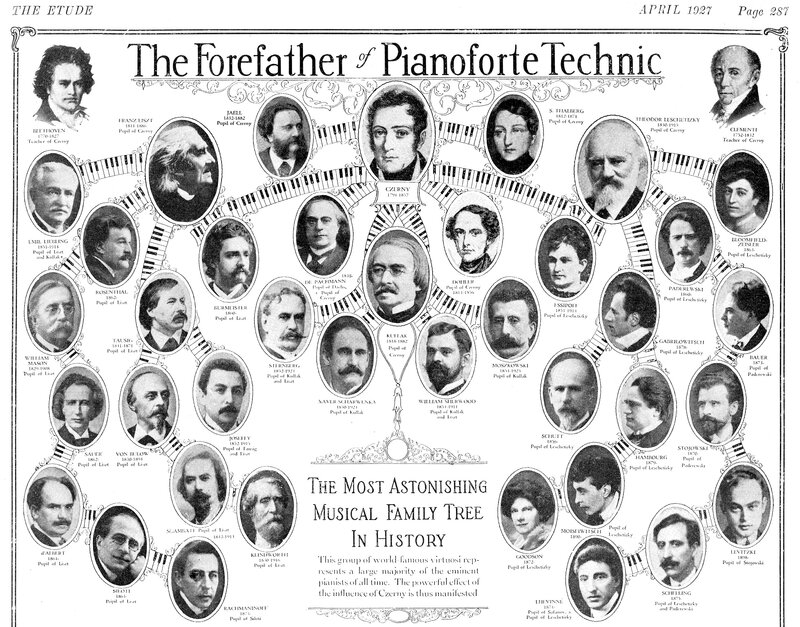 His books of studies for the piano are still widely used in piano teaching. At the age of fifteen, Czerny began a very successful teaching career. Basing his method on the teaching of Beethoven and Muzio Clementi, Czerny taught up to twelve lessons a day in the homes of Viennese nobility. His ‘star’ pupils included Theodor Döhler, Stephen Heller, Sigismond Thalberg, Leopoldine Blahetka and Ninette de Belleville.In 1819, the father of Franz Liszt brought his son to Czerny. Liszt became Czerny’s most famous pupil. He trained the child with the works of Beethoven, Clementi, Ignaz Moscheles and Johann Sebastian Bach. The Liszt family lived in the same street in Vienna as Czerny, who was so impressed by the boy that he taught him free of charge. Liszt was later to repay this confidence by introducing the music of Czerny at many of his Paris recitals. Shortly before Liszt’s Vienna concert of 13 April 1823 (his final concert of that season), Czerny arranged, with some difficulty (as Beethoven increasingly disliked child prodigies) the introduction of Liszt to Beethoven. Beethoven was sufficiently impressed with the young Liszt to give him a kiss on the forehead. 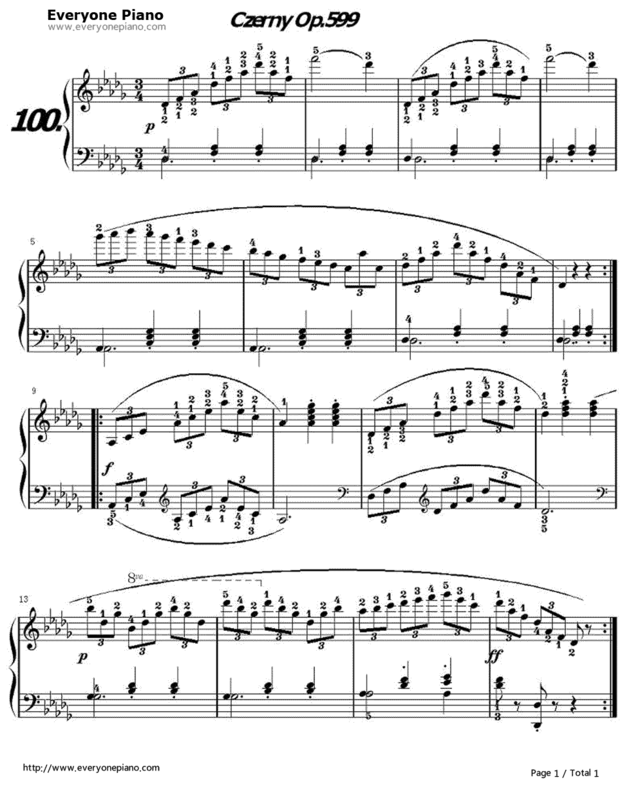 Liszt remained close to Czerny, and in 1852 his Études d’exécution transcendente (Transcendental Études) were published with a dedication to Czerny. This entry was posted in Birthday, Composers, Exercises, General, Holidays, musicians, Pianists, Today in Music History and tagged Études d'exécution transcendente, Carl Czerny, composer, Franz Liszt, Leopoldine Blahetka, Ninette de Belleville, pianist, Sigismond Thalberg, Stephen Heller, studies, teaching, Theodor Döhler, Transcendental Études, video. Bookmark the permalink.